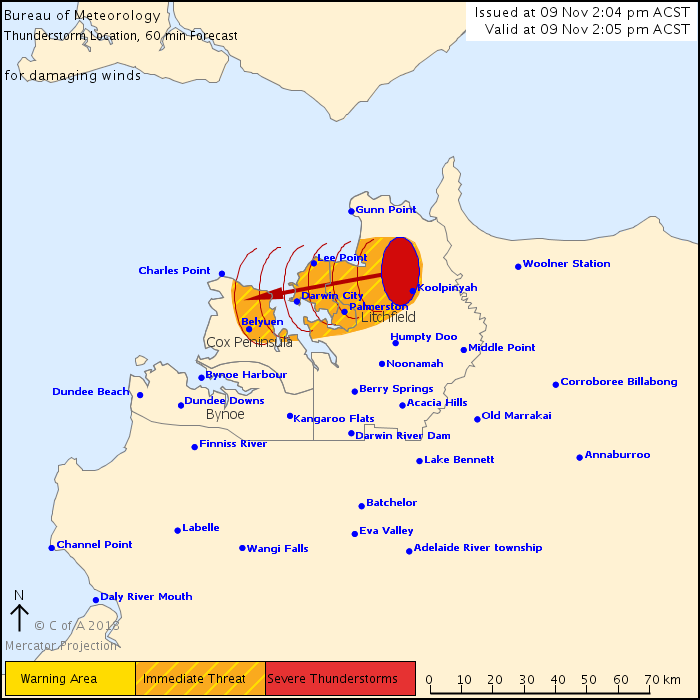 For people in Palmerston, Darwin and parts of Cox Peninsula and Litchfield areas. Issued at 2:04 pm Friday, 9 November 2018. The Bureau of Meteorology warns that, at 2:05 pm, potential severe thunderstorms were detected on the weather radar near Koolpinyah and Gunn Point. They are forecast to affect the Northern Suburbs, Palmerston and Howard Springs by 2:35 pm and Darwin City, Belyuen and Mandorah by 3:05 pm.